Rian Johnson’s The Last Jedi is the most original Star Wars film since The Empire Strike Back. Where it fails is where is it is forced to conform and that originality is lost. I am not saying that The Force Awakens is a perfect film, far from it, but it works because it tries very hard not to give us what we expected. We wanted Luke to be the hero, he isn’t and is far more interesting for being the broken man who cost his sister and best friend their son. We wanted Leia to lead the fight back, but we got Laura Dern’s Holdo who does and is worth the price of admission alone. We wanted to Poe to fly around and shoot stuff, he does and it only brings calamity. We wanted our new heroes to join with the old and “strike back”. They don’t and the issues that causes brings us the best drama in the film. Getting what you want is never as satisfying as you think. I know this, I was an Alfa Romeo owner. By turning things on their head, Johnson gives himself a load of rope to play with. With this he goes and crafts some truly incredible moments and stunning imagery that stand up against anything in the Star Wars canon. It also means he can plunder Timothy Zahn’s Thawn Trilogy books for elements like the Dreadnought and the cloaking device. Johnson weaves these elements together into something that truly is an impressive visual feast. The initial battle against the Dreadnaught is a brilliant set piece. The bombing run evokes elements of Henry King's brilliant 12 O’Clock High (which Johnson calls out in the audio commentary), Memphis Belle and even bits of 633 Squadron (even if Hux clearly seems to have missed the class at the Academy about using the Star Destroyers as a defensive screen to protect the Dreadnought). Then we have the scenes on Ahch-To, where Luke tries to discourage Rey from the Jedi life (interestingly, Luke calls it a “religion”, which I don’t think I’ve noticed before). These scenes are a wonderful play on the scenes between Yoda and Luke in Empire. These character beats, along with Poe’s dressing down by Leia, adds a facet that we haven’t really seen before and gives a deeper colour to our new heroes. That our heroes’ have a plan and that that plan is actually going to cause more hurt is a wonderful twist on what we are used too. I can see why some of the fan base struggles with this, but we have new heroes and these guys need to learn the lessons so hard won by the those who are passing them the torch. And, I suppose, that is where people have issues. But it is not one of mine. My issues are that despite all the rope Johnson gives himself, it is where he remembers that this is "A Star Wars Film” and that rope hangs him. The Force Awakens was, in essence, a greatest hits album with those couple of new tracks which are surprisingly good. The Force Awakens manages this call back film tightrope far better than, say, Skyfall. Both films do an amazing job of reminding us what we love about the series, Skyfall failed because it did nothing new at all. Where The Force Awakens struggles is that while it does great things with it’s new elements, it sticks far too rigidly to the A New Hope’s format. You had seen it all before. 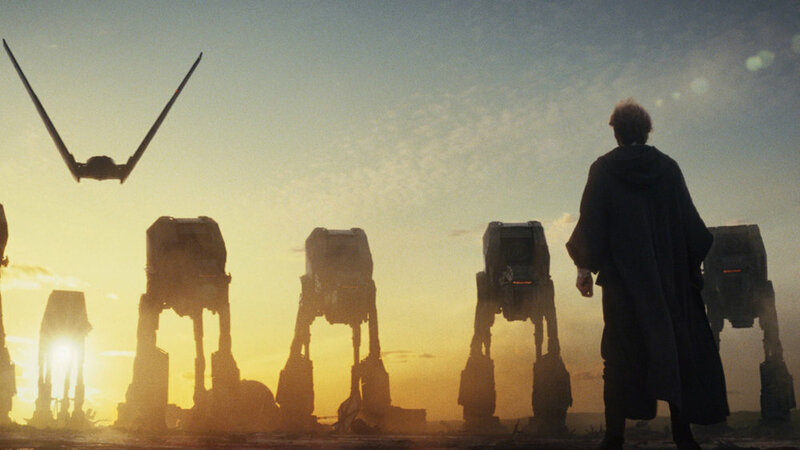 The Force Awakens follows the beats of A New Hope almost to the letter, but The Last Jedi’s shuffling of Empire feels like a shackle Johnson is trying to escape. This is the crux; that idea that this needs to be “A Star Wars Film”. For all the interesting moments that Johnson crafts, it is "the formula" that makes things too clunky for me. Why do we need to be reminded we are in the Star Wars universe, you would think we would know that going in, it says so on the ticket. These are the same issues that Rogue One and Solo had. Where originality starts to infringe on these enforced ideas of "what Star Wars is", we see compromise, directors shuffled out the door and issues upon issues crop up. Rogue One feels very much like a film of two directors and I long to see Gareth Edwards’ cut (who has a cameo in The Last Jedi). Solo is a fun mess and one that is let down because of what is obviously muddled, hive thinking. And these issues are also present in The Last Jedi. This idea that this trilogy needs to mirror the previous is what is holding it back. For all that is good, for all that is new and, in places in The Last Jedi, mind blowing, it is this idea that we need to jump over the same stones again that is the rot at the core of these films. We don’t know what the brief from Disney/Lucasfilm/Kathleen Kennedy was, but we are seeing a heavy handed control that, to me, stifles the creativity that could really take this series to new heights. I think where I am different to the mentalists out there on the interwebs in regards to The Last Jedi is that I can see the film both as the sum of and despite it’s parts. Rian Johnson has crafted a stunning looking film. The imagery within in it stands up against anything we have seen in this universe before. His choices with character make sense, even if some of the story choices don’t sit well with me, such as the detour to Canto Bight. The Canto Bight section is wonderfully confused to me, it seems too long and unnecessary. But then he goes and gives us the kids, which remind us of the power of this mythos. The kids are great, that closing broom shot nigh on perfect, but everything that lead to them was flabby and felt indulgent. It is that confusion that I am left with as a viewer that sums The Last Jedi up to me. When did we get to the point we can’t be middling about a film? We have to love it with a powerful lust or hate it with the fire of a thousand suns. I am a very happy middling about The Last Jedi. There is so much to love, but because it doesn’t seem to be allowed to be what it could I can’t completely love it. When I saw it for the first time, the thing that has stayed with me was that incredible noise of the projector in the booth and feeling the 70mm film feeding through it. 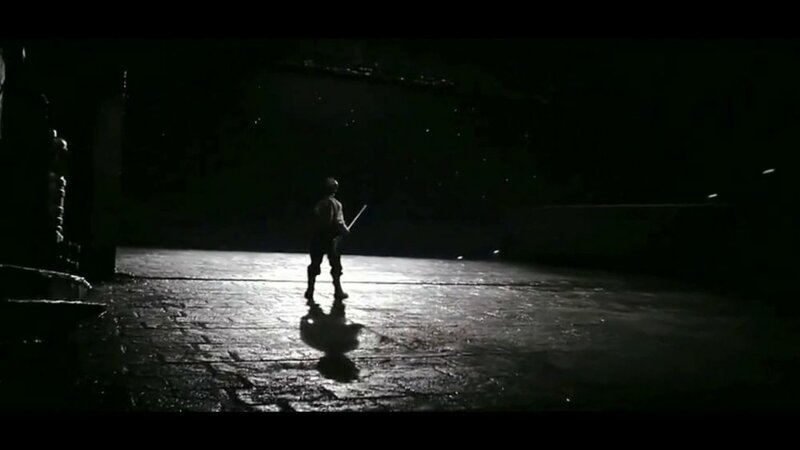 During the silence of the Lucasfilm logo and the opening words, that sound took me back to being a kid again. Rian Johnson gave me moments in The Last Jedi that made me feel like a kid again and for that, I thank him. As for the rest, I will just wonder about that brief from on high and wonder what could have been had it been ignored or subverted. For those of you complaining about The Last Jedi, hating upon it and, incredibly, threatening over it, channel your passion and create something yourself, don’t use that passion to tear down. That feeling you have, that passion, could create the next great universe we fall in love with. Rian Johnson was given the job we all dreamed of and he gave us his vision. Fair play to him and his collaborators. And us? We get more Star Wars and that is a great thing. We can like it or not, but, regardless, it is more Star Wars. More, in Star Wars’ case, is always better.